The new issue of the Atlantic is in subscribers' hands and up on the web. It includes my story on a touching and quixotic effort by two businessmen / idealists to bring the good parts of modern technology to a remote village in Gansu Province called Yellow Sheep River. 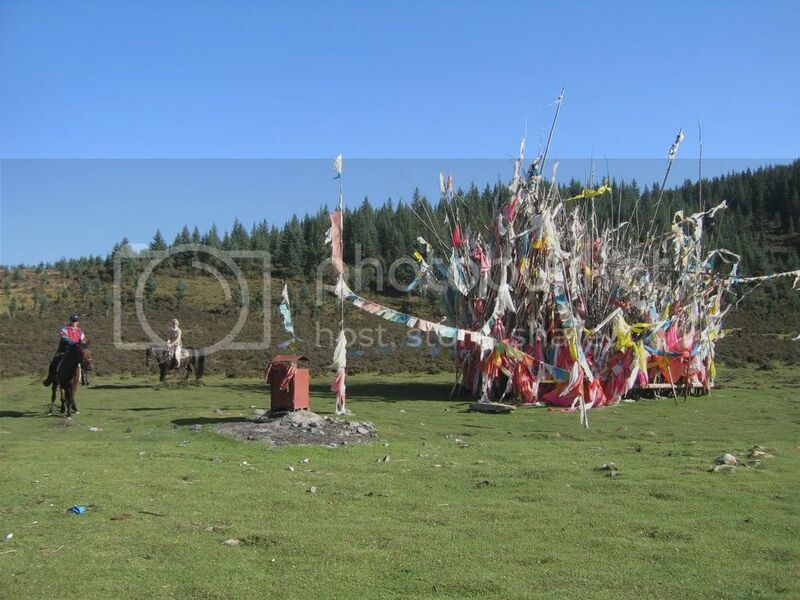 Here is one of the people I write about, Kenny Lin, on horseback near a Tibetan prayer-flag structure in the 11,000-foot highlands outside Yellow Sheep River. There's an accompanying slide show, here, narrated with my best Beijing-air-induced chronic rasp, that gives an idea of how completely different China's far western regions look from the images of Shanghai and Beijing now familiar on TV. The main Chinese site for this project is here; the English language version is here. It includes an easy way to sponsor students for this work, as my wife and I have done and will continue to do.